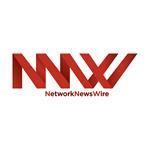 NEW YORK, Jan. 10, 2019 (GLOBE NEWSWIRE) -- via NetworkWire — NetworkNewsWire ("NNW"), a multifaceted financial news and publishing company, today announces the publication of an editorial featuring Pacific Rim Cobalt Corp. (CSE: BOLT) (OTCQB: PCRCF) (XFRA: NXFE), a client of NNW currently focused on the development of cobalt projects within Indonesia. Battery producers located in Asia are eager to secure access to cobalt supplies outside of Southern Africa. Pacific Rim Cobalt Corp. (OTCQB: PCRCF) (CSE: BOLT) is in a unique position to support these battery producers grow their operations. The company controls the Cyclops Nickel-Cobalt Project in Indonesia, which is in proximity to all three major battery-producing nations.